I'm glad I snapped this pic a few months ago before this building was torn down. It will soon be more condos. This was on the side of a now defunct martial arts school behind Forest Hills Station, on the part of the street that jumps suddenly from being Washington St to Hyde Park Ave without any sense to it, on account of the T Station having re-ordered the street pattern a while back. This martial arts mural was torn down in 2017. 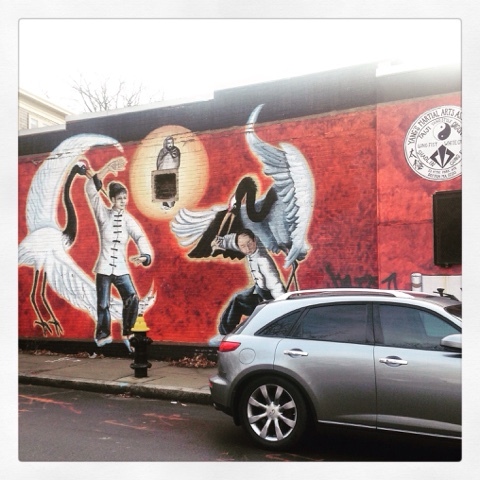 View my complete collection of Murals of Boston.